Diesel powered easy to use concrete mixers. If you have bricks or blocks to lay these are for you. 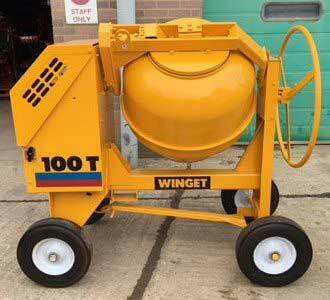 Robust and rugged site mixer’s for larger batches of concrete and mortar. Extra heavy duty and robust chassis designed to withstand the worst site conditions. Electric start. Designed for site to site portability these are available for immediate hire.